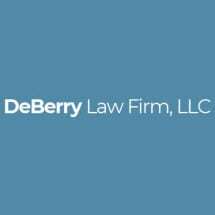 From his law office in Florence, South Carolina, the DeBerry Law Firm, attorney H. Steven DeBerry, IV, provides unmatched legal counsel and aggressive advocacy for those who stand accused of DUI or any other type of felony or misdemeanor offense. In addition, his law firm also handles all types of personal injury claims, and Mr. DeBerry has extensive experience with real estate law as well. Backed by more than 12 years of legal experience, Mr. DeBerry has the skills and resources necessary to help you achieve the justice you seek regardless of how serious or complex your situation. A former assistant solicitor to the 12th Judicial Circuit Court, he has invaluable insight into the state's criminal justice system, which enables him to devise the most effective defense strategy possible for your situation. As a native of Florence, Mr. DeBerry genuinely cares about the legal issues that affect the members of his community, and with an additional law office in Pamplico, his law firm has become a trusted source of high-quality legal representation to those in need across the region. Whether your legal need is the result of a recent arrest or an accident caused by someone else's negligence, you can begin the process of obtaining the justice you deserve by contacting Mr. DeBerry at the DeBerry Law Firm and scheduling an initial consultation.